In spite of the large amount of work performed by many investigators during last decade, the actual understanding of the kinetics of thermal degradation of cellulose is still largely unexplained. In this paper, recent findings suggesting a nucleation and growth of nuclei mechanism as the main step of cellulose degradation have been reassessed and a more appropriate model involving chain scission and volatilization of fragments has been proposed instead. 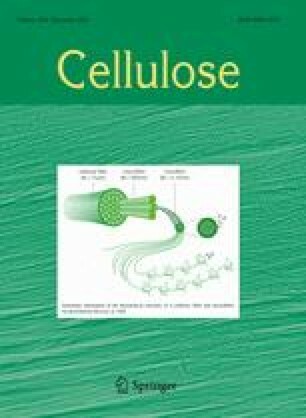 The kinetics of cellulose pyrolysis have been revisited by making use of a novel kinetic method that, without any previous assumptions regarding the kinetic model, allows performing the kinetic analysis of a set of experimental curves recorded under different heating schedules. The kinetic parameters and kinetic model obtained allows for the reconstruction of the whole set of experimental TG curves. Financial support from projects TEP-03002 from Junta de Andalucía and MAT 2008-06619/MAT from the Spanish Ministerio de Ciencia e Innovación is acknowledged.